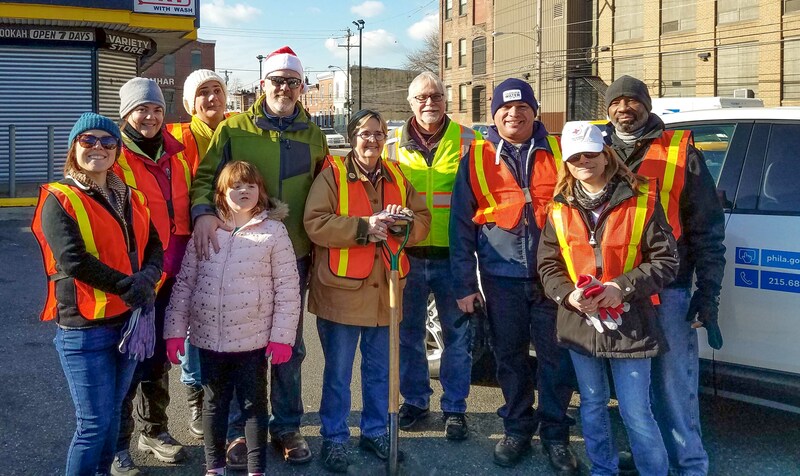 On Saturday, December 8, Philadelphia Water Department employees, including Commissioner Debra McCarty, pitched in for a 'Philadelphia Resilience Project' event in Kensington. PWD employees (from left to right) Lindsey Adams, Nicole Charlton, Dawn Mason, Brendan (& Emma) Reilly, Debbie McCarty, team leader Jim Golembeski, Ed Borges, Colleen McCaffrey, and Eric Funchess volunteered for the Kensington Resilience Project. 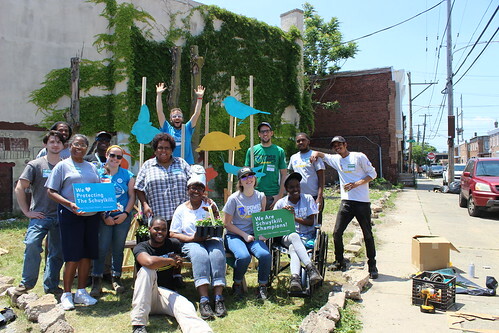 The special cleanup was the second large-scale effort of its kind in the last two months and featured City employees volunteering alongside community members in Kensington to pick up trash and litter, clean vacant lots, remove graffiti, and provide other services aimed at improving the quality of life in the neighborhood. At PWD, Jim Golembeski, manager of Emergency and Security Services, organized the effort and recruited employee volunteers. Over three hours, 113 staff from multiple City agencies and 87 volunteers worked to clean areas around schools in the Kensington area. In total, two large-scale City-organized cleanups have taken place since Mayor Jim Kenney issued an Executive Order to tackle the opioid epidemic. Are you in a community group? We're looking for organizations to join our Soak It Up program, which provides grant funding to those who adopt and care for local green tools, like rain gardens. Learn more and see if you can help in 2019! 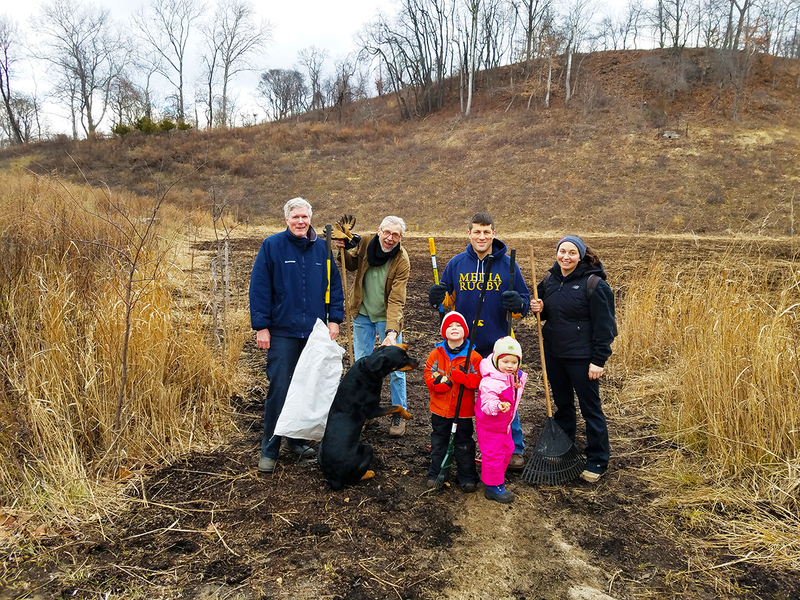 Interested in volunteering with us at watershed cleanups once the weather warms up again? Thanks to all who pitched in! 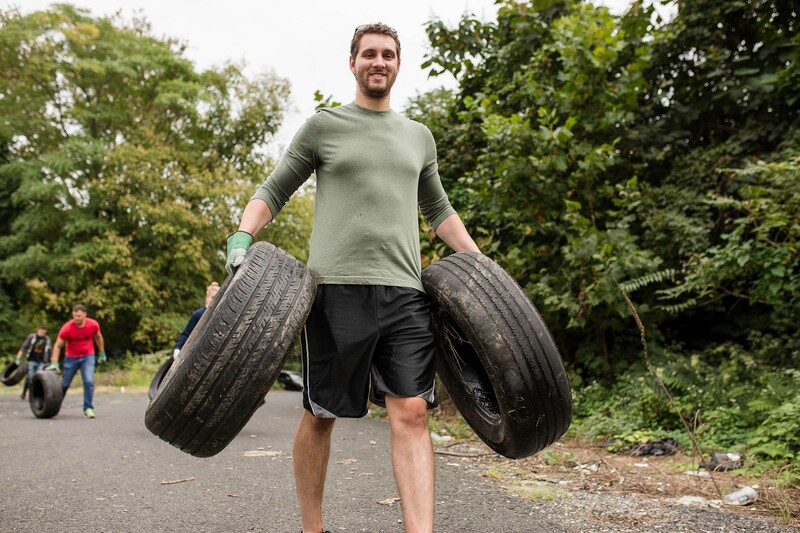 A huge cleanup along the Schuylkill River added an exclamation point to 2018 litter removal efforts and showcased what City partners and volunteers hope to accomplish in 2019.